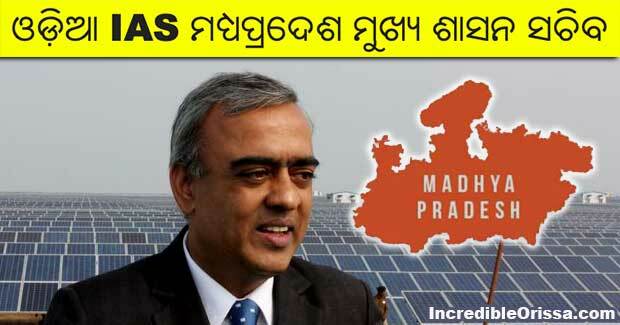 Odisha-born Sudhi Ranjan Mohanty, an IAS officer of the 1982 batch, has been appointed the Chief Secretary of Madhya Pradesh, an official said on Monday. A directive issued by Principal Secretary of Personnel Administration, Rashmi Arun, said Mohanty will replace the outgoing Chief Secretary BS Singh, who retired Monday. Sudhi Ranjan Mohanty, currently the president of state Secondary Education Board, will take charge on Tuesday (January 1). Mohanty, who was Managing Director of MP State Industrial Development Corporation (MPSIDC) from January 20, 2000 to January 8, 2004, was one of the accused in the multi-crore Inter Corporate Deposits Scheme scam. Sudhi Ranjan Mohanty had won the Global Development Network Award for the Most Innovative Project, instituted by the World Bank and 19 International agencies for innovation in governance, in 2000. He was awarded the same for his work in devising the ‘Rogi Kalyan Samiti’ concept. His was one of 160 entries, submitted by people from across the globe and the jury included the President of the World Bank, the President of the ADB, Two Nobel Prize Winners, and six other leading experts. The concept involved the management of public hospitals with people’s participation. It has now been institutionalized in all public hospitals of the state and is also the basic model for hospitals under the National Rural Health Mission of the country.